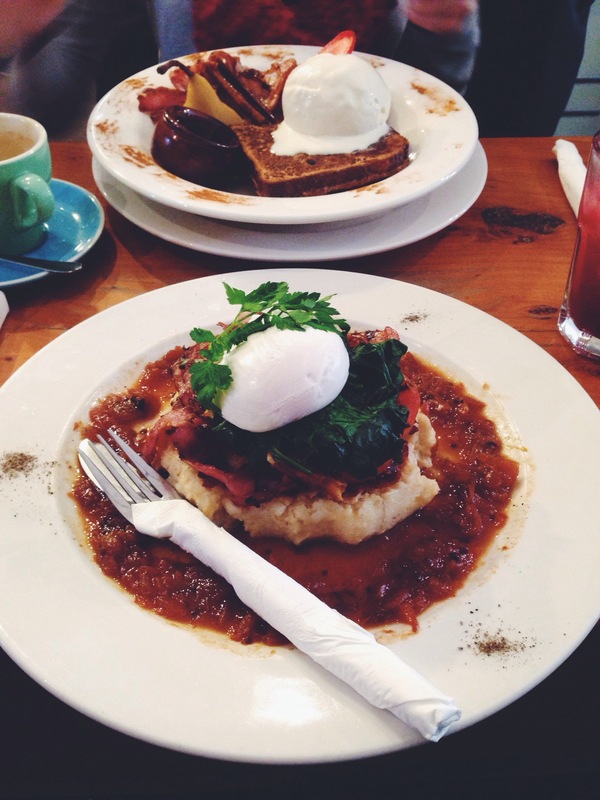 For the love of Brunch: in Brunswick. I may have slipped under the radar last week and missed a blog post. I do apologise. I spent time at home with my family, organising and celebrating my brother’s twenty-first birthday. It was lovely. Then I returned to Melbourne packed up my belongings in Brunswick, and moved most to my brothers house and the rest up three flights of stairs to an apartment in Kew. (Yes, I moved again). So, this week you’re getting two posts. I’m a breakfast enthusiast. If it was a religion, I would follow it. 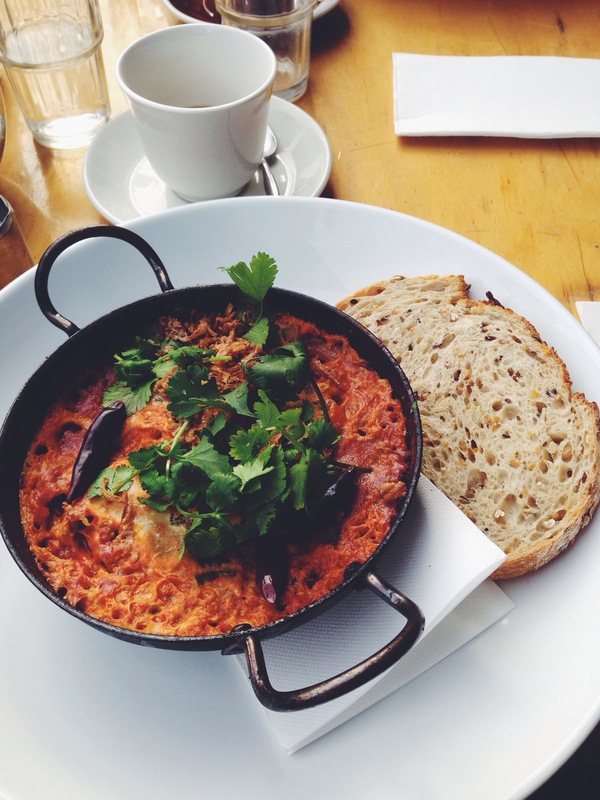 And I did my best to enjoy the brunch spots in Brunswick over the past five weeks. 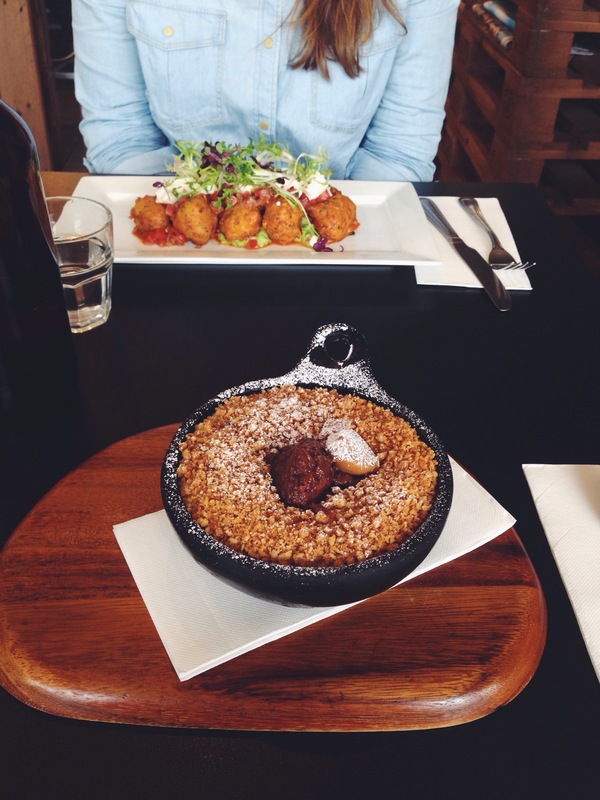 So because it’s Friday and I know all my fellow breakfast lovers are already planning their weekend brunch (I have, I’m off to Tall Timber in South Yarra), I thought I’d share my adventures in Brunswick. Just in case it helps you out. I never ate breakfast here but the menu looks fabulous! The Jonesinator reported they didn’t have maple syrup with their hot jam doughcakes, but don’t let that stop you. I frequented this place for their free wifi (let’s be honest, they knew it), and I did enjoy a peanut butter and banana smoothie. It had to be done. Number one on Urbanspoon for breakfast in the area, this also had to be done. They were currently redoing their kitchen so had a pop up cafe opposite Barkly Square. This place was a little awkward initially. You pounce on a table when one is free, and then awkwardly read the menu of the wall and order at the register. But it’s cheap and worth any awkwardness and wait time. Instagram and Urbanspoon were telling me to have the breakfast stack: Potato pattie with bacon, grilled spinach, tomato and haloumi cheese and a poached egg and relish. I’m not a massive potato fan but it was delicious. The haloumi was a little overcooked, and I wished I had order mushrooms with it but for TEN DOLLARS I’m not complaining. The Jonesinator had the french toast with a poached pear, a massive scoop of ice-cream. She also ordered extra maple syrup and a side of bacon. Standard. Their menu has something for everyone. Bircher, porridge, Eggs anyway, Eggs benedict, baked beans, pancakes, french toast, breakfast burrito and toast. 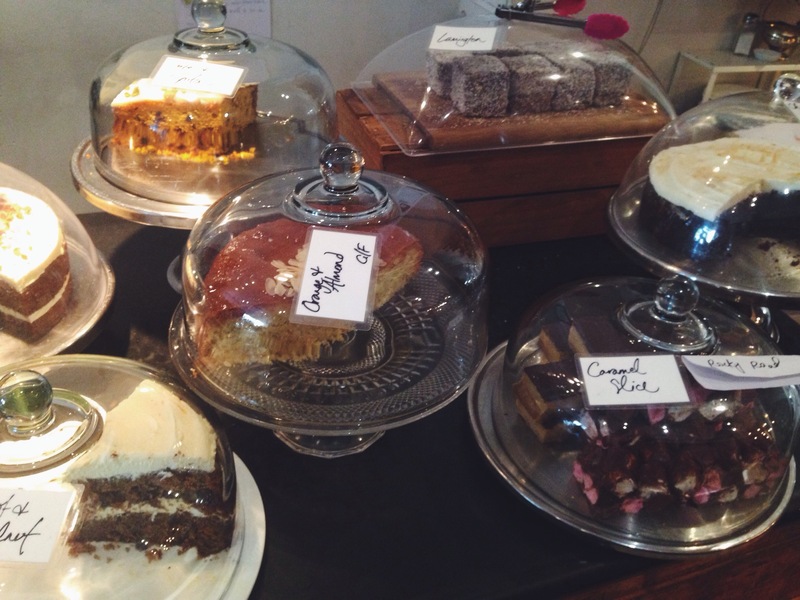 Their homemade cakes and pies also looked to die for.. This one is a hidden gem, and was only about 500m from my house. It’s over the road from the Union Hotel. Now, for those of you I haven’t told yet, this is the pub on House Husbands! I’d definitely go back to this place. 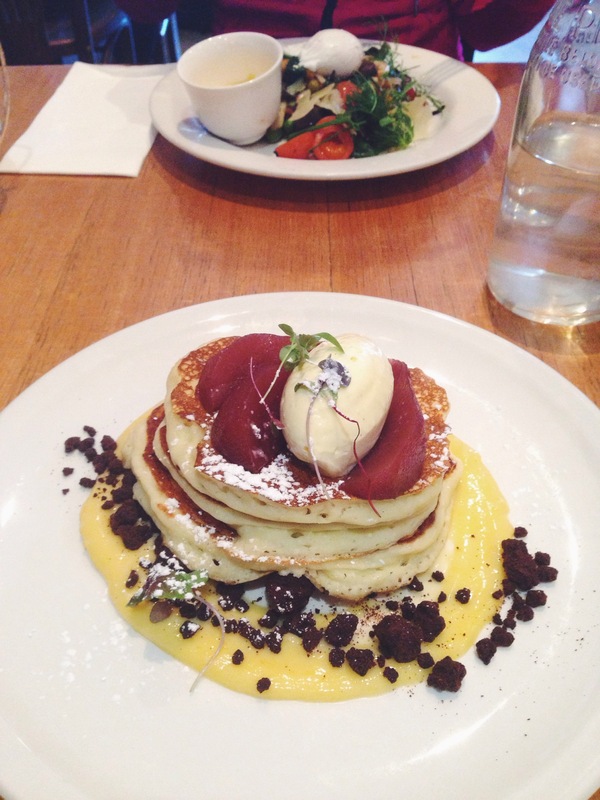 The staff were fabulous, taking our coffee orders immediately, and assisting me in my breakfast choice – Buttermilk ricotta hotcakes or green fritters. Ofcourse the hotcakes won. They came with lemon curd, madagascan vanilla marscapone, drunken pears AND chocolate crumble. The Brooksinator showed her love for Masterchef, saying ’Put all the elements on the plate, and then take one off’. She’s right, it was delicious but the crumble was a bit odd with the lemon curd. Brooksinator had the farmers market which was a home made corn bread (interesting), hash potatoes, cherry tomatoes, vegetables with a poached egg and some avo & parmesan. Apart from our drinks coming half way through the meal, we were both pretty impressed. The green fritters made with spinach, broad beans, baby peas & zucchini are on my list to try, and the cakes were incredibly inviting. If it wasn’t for social media I would not have found this place. It’s way out in Brunswick West in an apartment complex. I dragged Nicole there one sunday morning, with only about a five minute wait, the staff were accommodating and had us a table inside. Nicole and dogs don’t get along. This place is a must for porridge lovers. I had the Banoffee Porridge which was Uncle Toby’s quick oats with caramelised banana, stewed dates, dulce de leche (thick caramel) and toasted coconut crumble. My goodness, it was sweet. Sweet but incredibly delicious. Crestani went savoury and had the Corn & Zucchini fritters. They were amaze too. On the table next to us, a fellow diner managed half of the Crispy Croque Monsieur. The smell of the melted cheese had us wishing it was socially acceptable to taste an unfinished meal. Another thing I like about this place: they have buttermilk pancakes AND french toast on the menu, and they looked divine. < Spring into fruit and vegetables.